Pelican Island Audubon Society President Dr. Richard Baker led a nature walk at Cypress Bend Community Preserve on Sunday, November 16. In flower were some fabulous freshwater plants, including climbing aster (Symphyotrichum carolinanum) pictured above and swamp lily (Crinum americium) pictured below. Both of these pretty plants would make a wonderful addition to a wet place in your landscape. 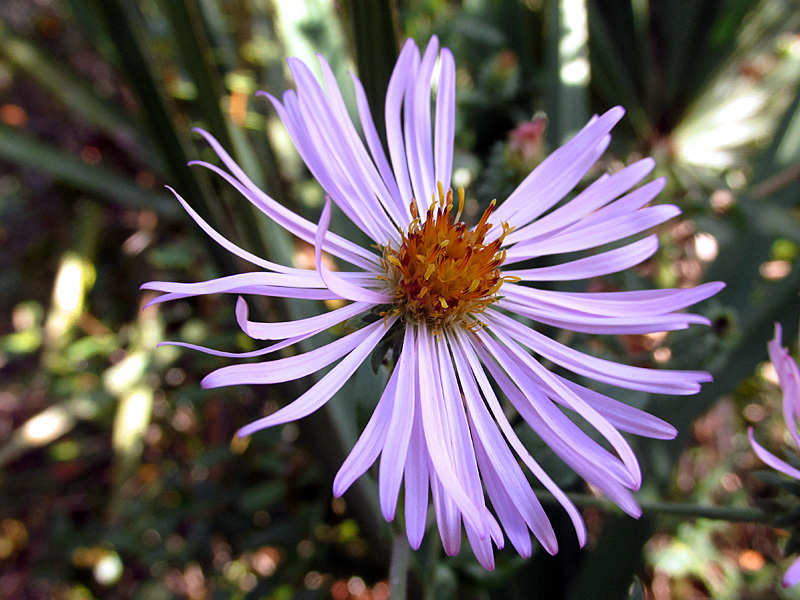 Climbing aster, once scientifically known as Aster carolinianum, is reasonably tolerant of drier conditions, flowers profusely in the fall, and is quite attractive to butterflies and other pollinators. Its color can be quite variable — from white to lavender — and grows quickly. 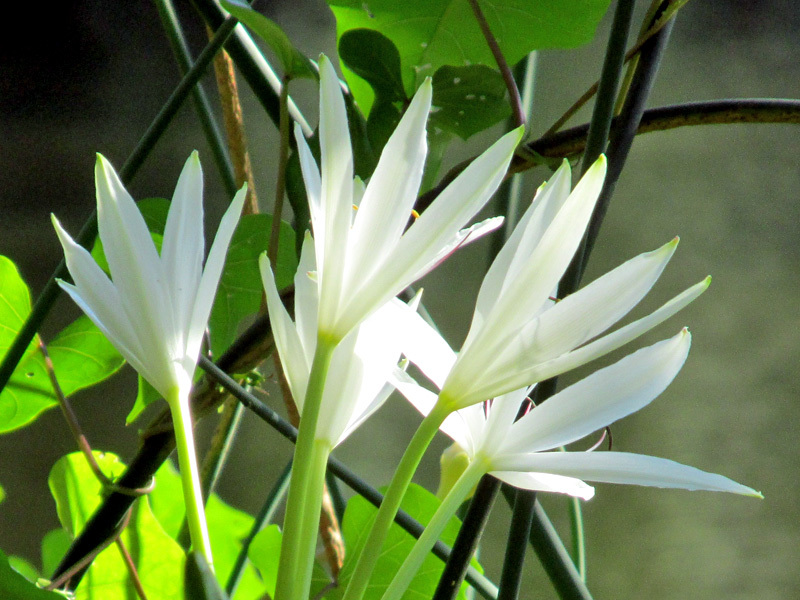 With fragrant flowers, swamp lily (or string lily) is truly an aquatic plant and requires quite moist conditions. Please do not confuse this wet-loving plant with spider lily (Hymenocallis latifolia), a plant of dry locations. Visit the plant list page for a list of the plants found at Cypress Bend Community Preserve and a general encryption of the 47.25 acres property on the banks of the Sebastian River. Next Entry Tomato? Christmas Berry!